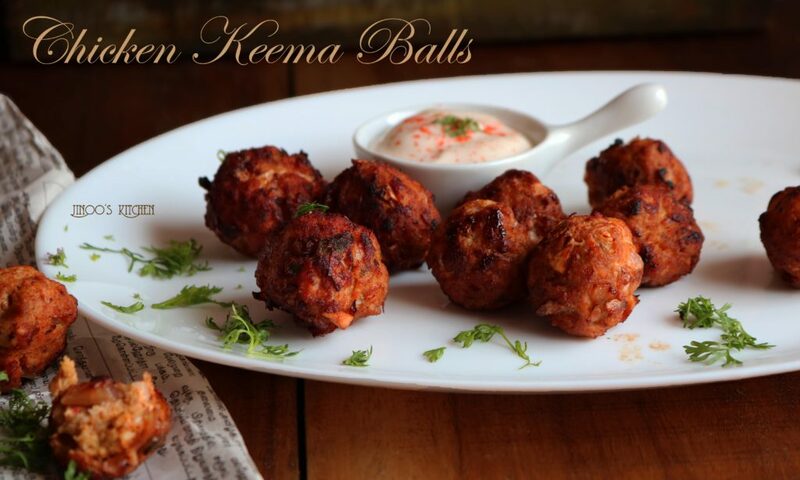 Chicken Keema Balls \ Chicken Kheema balls is an super easy chicken starters recipe. Quick, flavourful and tasty recipe. Quick way to impress your guests! Plan this without any worries for kids parties! 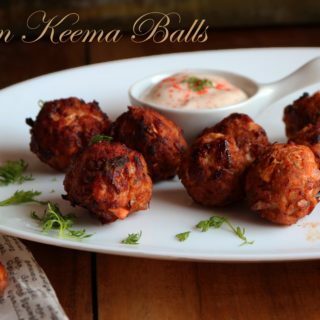 Spicy chicken keema balls recipe with step by step pictures and video recipe. There are a couple of bloggers who has inspired me a lot in my blogging journey. 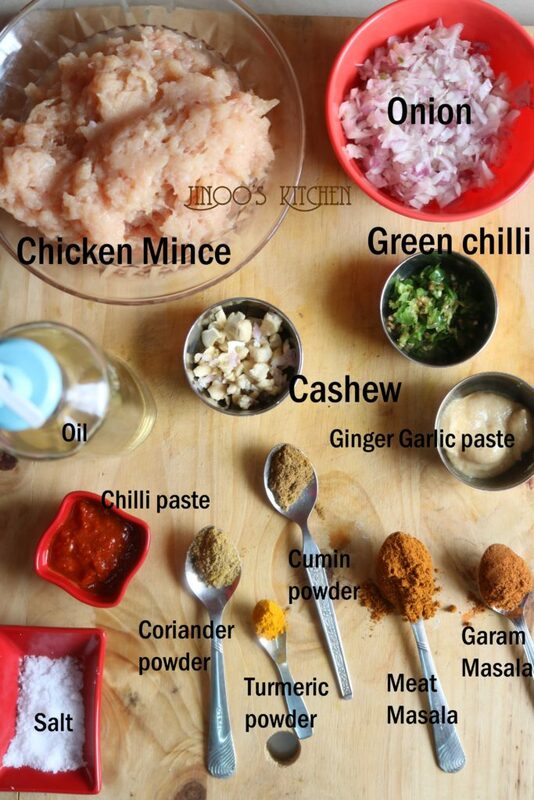 One such is Kannammacooks., Suguna Vinoth. Her detailing of each and every recipe has always inspired me. Detailing a recipe has got its technique of keeping it simple at the same time entertaining your readers. She does that perfect. One such thing inspired from her is the ingredient detailing. I have decided to follow it from this recipe on, so that it helps my readers to understand the recipe far better. snapshot of ingredients used in the recipe. Check out spicy chicken fry – kerala style recipe, Rava chicken fry, Orange chicken, Green chilly chicken, Chicken crispy tenders and many other recipes in our website. 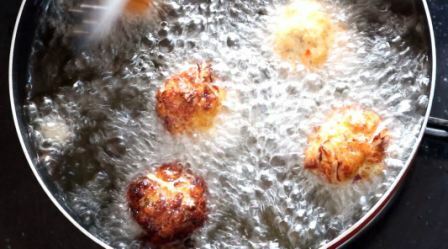 make small balls out of it and keep fry them until golden brown. Get the Chicken mince ready. You can either buy it as chicken mince from the store or get the boneless chicken pieces. 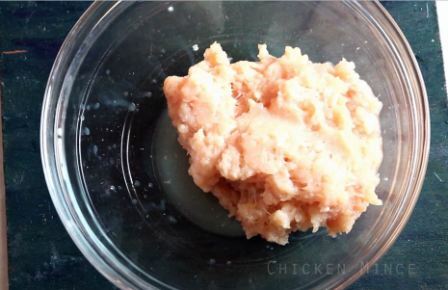 I have got the chicken breast pieces and chopped them finely first. washed and rinsed. Then little at a time, gave it a pulse shot in my mixer to mince it. 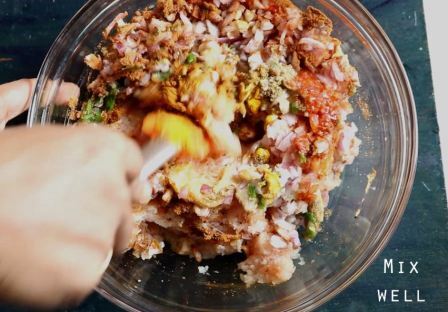 Take a bowl, add the chicken mince, put in all the ingredients together and mix well. watch the video for better understanding. Need not add any flour for binding. Chicken mince is good enough. In case you feel you need a binder or could not make stiff balls of it, add a tbsp of rice powder or corn flour to it and mix. and deep fry it until golden brown. I have shallow fried in simmer so that chicken gets enough time to get cooked. keep rolling so that its evenly brown on all sides. I tried this recipe and WOW!!! it was a winner with my husband and kids right from the first time I made it. The recipe is great even when you add the kheema balls into a curry to make a kofta curry! 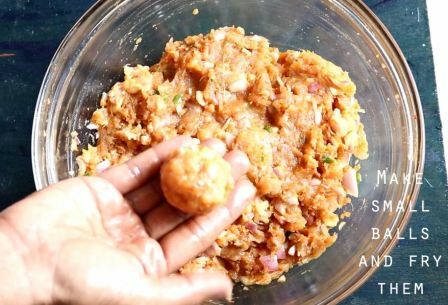 I also prepare the kheema balls and store them in the freezer for use on a busy day!